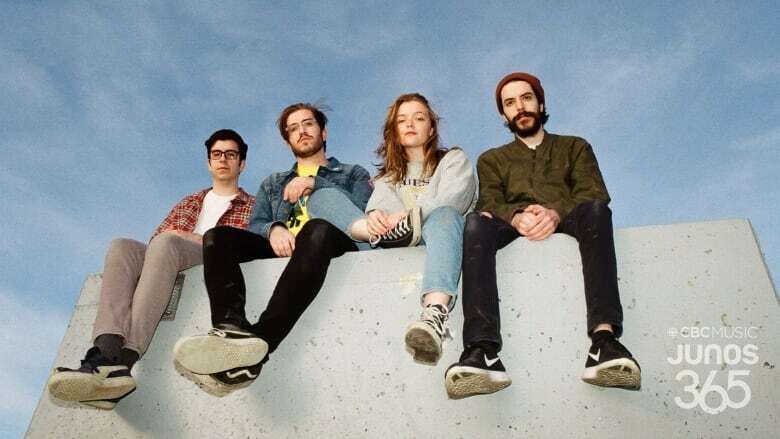 The Oshawa-based band is making low-key dream pop for a new generation. Why they're nominated: Since the release of the band's brilliantly titled debut album, Baby Teeth in 2018, fans have fallen hard for Dizzy's distinctive vibe: a lush and low-key sonic landscape paired with evocative lyrics that run the gamut from confessional, specific and heartfelt to esoteric, universal and wry. Previously: Vocalist and songwriter Katie Munshaw and Charlie Spencer starting playing together in high school and were more of an acoustic folk-pop duo than anything fully resembling Dizzy. You can hear some of their covers on Charlie's old SoundCloud page. Fun fact: Three of the band's four members are siblings, all one year apart: Charlie, Alex and Mackenzie Spencer.